And thus ends the saga of the legal battle between Bethesda and Behaviour Interactive. Variety has spotted that Westworld mobile game has been pulled from the Apple Store and Google Play Store, putting a fine point on the lawsuit that was settled back in December. According to Bethesda, all parties came to an amicable agreement as a result of the six month legal battle. And thanks to the game's delisting on the major app stores and planned shutdown, we have a better idea of what the terms were. The original lawsuit, filed on June 21, 2018 by Bethesda against Behaviour Interactive and Warner Bros., detailed that the new Westworld mobile game was a "blatant rip-off" of Bethesda's mobile game (now available on all major platforms), Fallout Shelter. 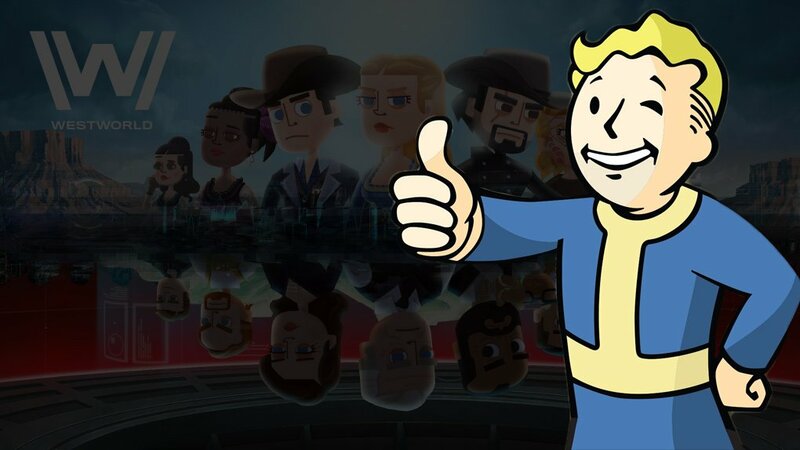 Warner Bros. was quick to clap back against Bethesda, claiming "the assertions by Bethesda Softworks that Warner's Westworld mobile game improperly used source code from Bethesda's Fallout Shelter are as surprising as they are unsubstantiated." "Behaviour’s use of the computer code owned by Bethesda to develop Westworld even included the very same ‘bugs’ or defects present in the Fallout Shelter code." Bugs inherent in early versions of Fallout Shelter, explicitly detailed in the document in section 8, are also present in the recently released Westworld game. In our original story, Brandon Huffman, founder of Odin Law and Media and general counsel for the IGDA, had thrown into question what had been misused: assets or developer tools. "In some agreements, there is a differentiation between game assets and developer tools," Huffman said in a conversation with GameDaily in June 2018. "If this agreement called out developer tools in another section, the court might be able to conclude that Behaviour only reused its own tools to create a similar game, but given the language included in the complaint, I think it would be a stretch." It would seem that it was a stretch, indeed. We don't have access to any subsequent filings in the case, but we can draw a pretty distinct conclusion that it wasn't developer tools that were misused or used outside the scope of the original agreement that Bethesda and Behaviour had drawn up. Behaviour Interactive's work on both Fallout Shelter and Westworld wouldn't have been a breach in and of itself. Without the details of what brought the settlement about, all we know is that Bethesda managed to demonstrate Behaviour's (and by proxy, Warner Bros.') culpability in using proprietary assets originally built for Fallout Shelter in Westworld. Players will have until April 2019 to enjoy Westworld on mobile. Until then, there won't be any access to microtransactions and in-app purchases for those that had downloaded the game before it was delisted. Good thing we'll have a new season of HBO's Westworld to watch, as it was renewed last May.